To look at the humble loblolly pine – grown in neat rows on large farms throughout the southeastern U.S. and milled for things like building lumber and paper – you would never guess that its genetic code is seven times larger than a human’s. That is just one of the things researchers, including two from the University of Florida’s Institute of Food and Agricultural Sciences and the UF Genetics Institute, learned as they sequenced the loblolly pine genome for the first time. They also discovered genes resistant to a devastating pine forest disease. It’s the largest genome sequenced to date and the most complete conifer genome sequence ever published. It is described in the March issues of the journals GENETICS and Genome Biology. The tree is the primary source of pulpwood and saw timber for the U.S. forest products industry. The size and complexity of conifer genomes has, until now, prevented full genome sequencing. To sequence a genome, it must first be broken down into smaller, more manageable data pieces in order for computer programs to handle them. The pieces are then assembled and annotated – or described – as scientists look at each stretch of base pairs to see which genes are present, where they are on the genome and what they do. Different genes control different traits or characteristics in the living organism. 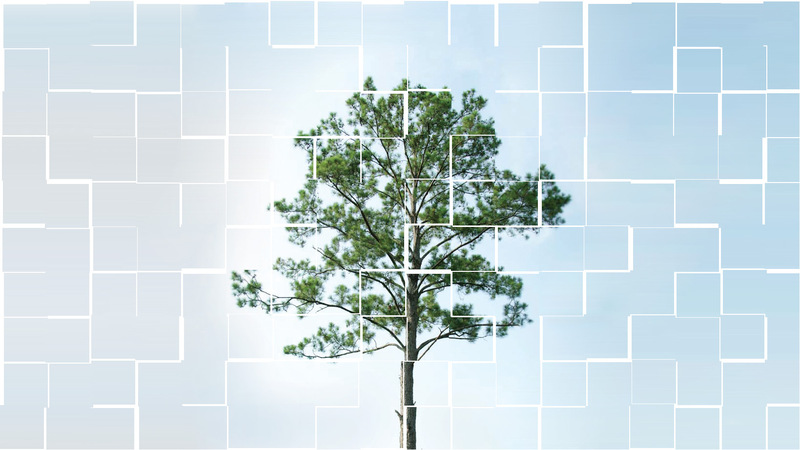 The loblolly pine genome has 22 billion base pairs, while the human genome has 3 billion. “It’s a huge genome. But the challenge isn’t just collecting all the sequence data. The problem is assembling that sequence into order,” said David Neale, a professor of plant sciences at the University of California, Davis, who led the project. John M. Davis, professor and associate director of the UF School of Forest Resources and Conservation, and Katherine Smith, a biological science technician with the USDA Forest Service’s Southern Institute of Forest Genetics, took the lead in annotating the genes in a portion of the genome. They were looking for genes controlling resistance to fusiform rust, a disease that infects southern pines and renders them unfit for wood products. What they found was a whole family of resistance genes. Florida’s nearly 16 million acres of timberland supported economic activities that generated $14.7 billion in economic impact in recent years and provided nearly 90,000 full- and part-time jobs. A molecular understanding of genetic resistance is a valuable tool for forest managers as they select trees that will develop into healthy groves. More than 500 million loblolly pine seedlings with these resistance genes are planted every year throughout the U.S. The loblolly genome research was conducted in an open-access manner, benefitting all 31 researchers at 13 universities and institutes, even before the genome sequencing effort was completed. Data have been freely available throughout the project, with three public releases starting in June 2012. The work was supported in part by the U.S. Department of Agriculture’s National Institute of Food and Agriculture. Davis said his work is not finished – and might never be – because annotating a genome is a process that goes on forever. “It never stops because we are always adding meaning to the genome sequence as we learn about other genomes,” he said.